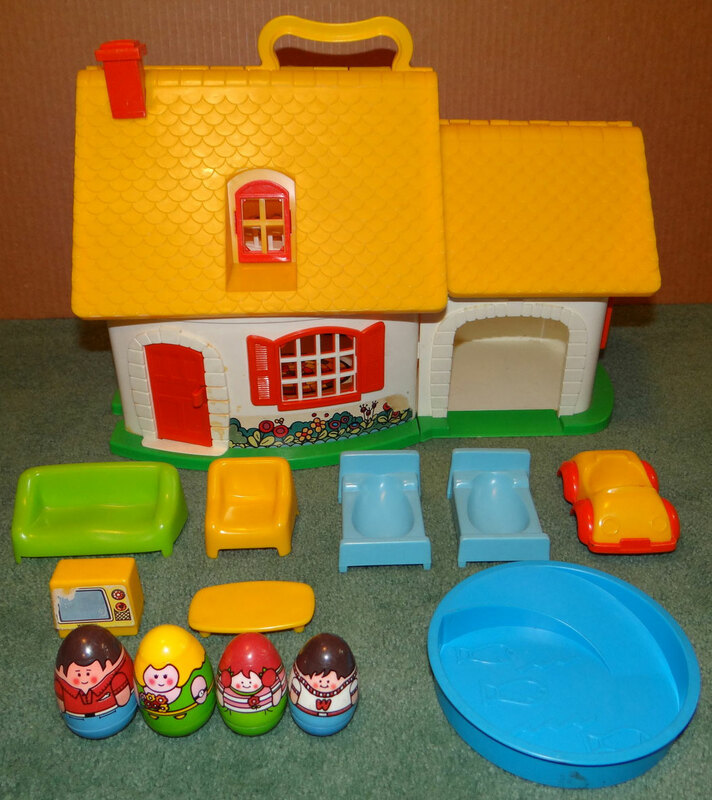 Description: Light blue bed with a tall headboard, short footboard, and recessed egg-shaped bedtop (to allow Weeble figures to lay down). The bed has 4 short support "feet" (under each corner). Measures 2-3/4" long x 1-15/16" wide x 1-5/16" tall. Bottom of the bed is marked "©1973 Hasbro®, MADE IN USA". 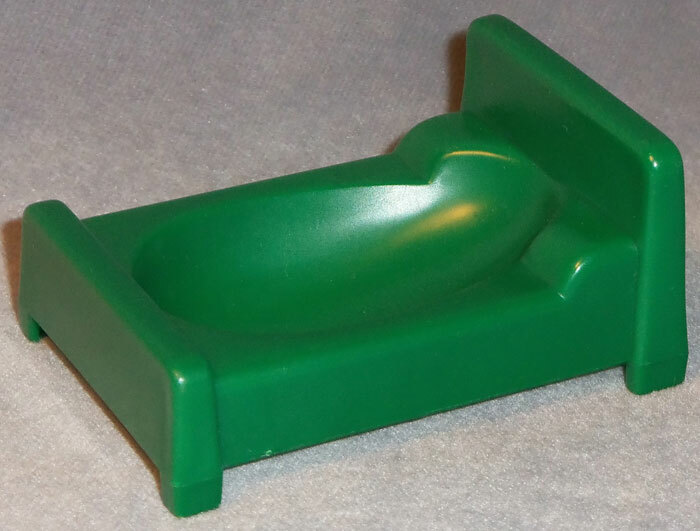 Dark green bed with a tall headboard, short footboard, and recessed egg-shaped bedtop (to allow Weeble figures to lay down). The bed has 4 short support "feet" (under each corner). 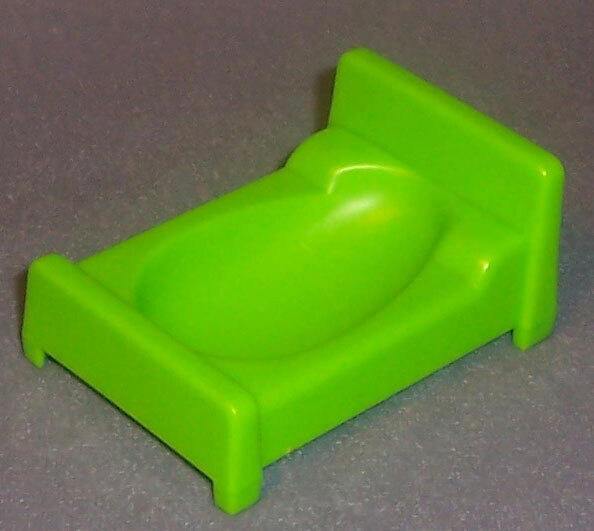 Description: Green (Light Green) bed with a tall headboard, short footboard, and recessed egg-shaped bedtop (to allow Weeble figures to lay down). The bed has 4 short support "feet" (under each corner). 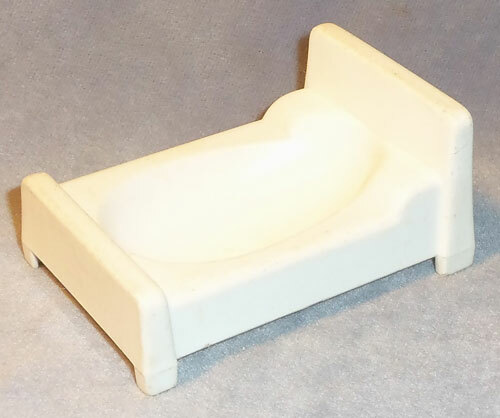 White bed with a tall headboard, short footboard, and recessed egg-shaped bedtop (to allow Weeble figures to lay down). The bed has 4 short support "feet" (under each corner). Description: White molded plastic "rope" hammock with a round loop on each end (to attach to tree trunks).